Worldwide business-to-business (B2B) ecommerce sales may reach nearly $7 trillion USD by 2020, accounting for a significant percentage (perhaps a fifth) of all manufacturing and wholesale B2B trade, according to some estimates. Companies that launch effective B2B ecommerce solutions now could deepen customer relationships, attract new customers, stave off competition, and become more profitable. Our team has compiled some essential features any B2B website should be offering in this great infographic. Follow these steps, plus the tips and ideas to help you build a website that can sell to B2B and B2C customers alike. 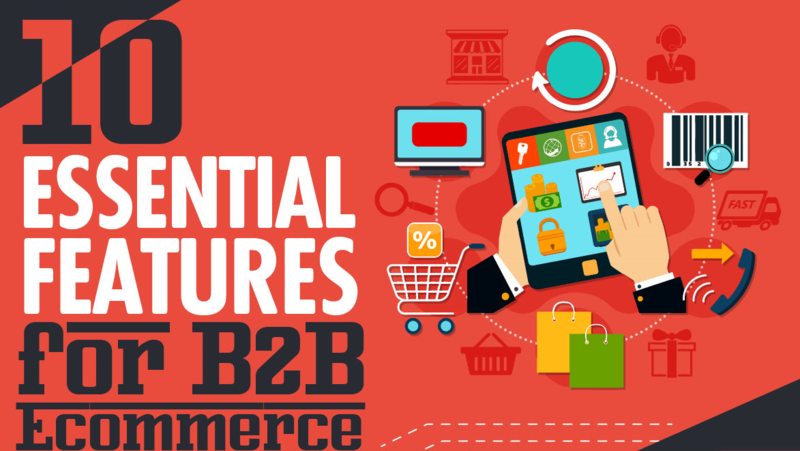 For additional information on selecting a B2B ecommerce platform, download our free ebook on "10 Essential Features for B2B ECommerce".